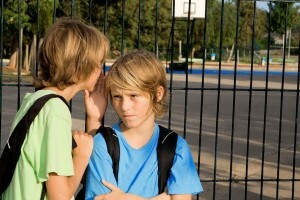 How Can I Help My Child Deal With Bullying At School? Bullying, especially in schools in NYC, is a growing concern for parents and schools, and directly affects about 20-30% of kids in grades 6 – 12 in the U.S.
Children and parents feel powerless when it happens, unsure of how to react, and schools are expected to take action. There are serious ramifications for families. 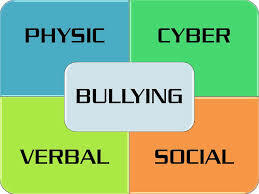 Bullying is defined as repeated, intentional behavior to cause harm or control another of less power. It can take the form of physical (hitting), verbal (teasing,taunting) and/or social/relational (isolating, rumors). It happens in schools between peers, at work between co-workers, or in the home between family members. The key and common thread is that the victim of bullying does not feel they have enough power to make the bullying stop – they can’t protect themselves because of the imbalance of power. When a child or anyone reports bullying, the best approach is to take it seriously, gather information and let everyone involved know. Bullying does not stop on its own – it requires a team approach to change the culture that enables the bully to reign with power. Typical strategies of “ignoring” or “standing up” to the bully are rarely successful on their own. This is why schools must be involved. From a clinical perspective, I see child victims of bullying who feel anxious, angry, and sad as a result of being bullied at school. I work with the child individually to build confidence and review ways to cope. But more importantly, I tell parents to get the school involved. Bullying at work can take the form of sexual harassment Bullying at home can take the form of domestic violence, severe sibling rivalry, or child abuse. In each instance, interpersonal and systemic changes are required for the bullying to stop. Finding out that your child is being bullied at school can be a very difficult experience that can bring up both emotional and practical questions for parents. Among the first questions a parent may ask is “what can I do?” There are a number of things that parents can do to help a child who is being bullied. Listen to your child and support them. Tell them that they are not to blame and you love them for who they are and, because this can be a very difficult topic for many children to share with their parents, acknowledge how difficult it is to come forward and tell someone about this experience and thank them for being brave and honest in sharing this information with you. Ensure they do not need emergency intervention. You also want to make sure that your child is safe and not in need of any sort of emergency intervention, either physical or emotional. If your child is need of immediate assistance, get help by either going to a local hospital or seeing your primary physician immediately. Contact the school to help with the bullying problem. Once any potential safety concerns have been addressed and you have heard your child’s story, the next step is to contact the school to have them help with the situation. Be in touch with the school to make sure that they are aware of the situation and are taking the necessary steps to both keep your child safe and to address the situation with the other child/children. Document everything your child tells you that has happened so that you can be as accurate as possible when reporting this to the school. Seek out positive adult mentors that your child can talk and relate to, especially in school where they will likely feel most vulnerable. Get involved with the school in making sure that there are clear policies and procedures in place with regards to bullying at school and how it is handled. Helping your child cope with the bullying at their school. Encourage your child to take part in extra curricular activities where the bully is not present in order to give them a safe space where they can have friends and a social circle that is not connected to the bully. Help your child cope with the stress of the situation and increase resilience by engaging in stress relieving activities such as exercise, meditation, positive self-talk, muscle relaxation and breathing exercises. Watch your child closely for any significant changes in personality, such as increased anxiety, moodiness, trouble concentrating or lowered self esteem. If you see any significant changes in your child, consider contacting a therapist who can help your child with these issues. In addition, here are some more links to websites with helpful information for parents, both in general and specific to the NYC public schools. According to a survey of over 30 million students between the ages of 12 and 18 done by the Department of Education in 2011, nearly 32 percent reported that the were bullied at school. In recent years increasing attention has been paid to the epidemic of bullying in schools and to creating programs that can help schools address this important problem. The CDC defines bullying as “any unwanted aggressive behavior(s) by another youth or group of youths who are not siblings or current dating partners that involves an observed or perceived power imbalance and is repeated multiple times or is highly likely to be repeated. Bullying may inflict harm or distress on the targeted youth including physical, psychological, social, or educational harm.” Most bullying occurs in school, outside on school grounds and in the school bus, making schools a front line in the fight against bullying. There are a number of things that schools can do to both prevent and respond to bullying that can reduce its incidence in school. 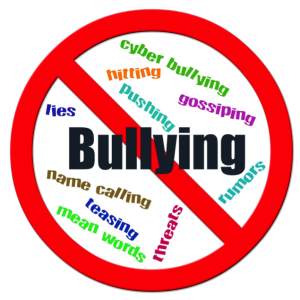 It is important for each school to define bullying and to lay out clear guidelines on how to report it, such as providing a web based system for reporting within the school or advising students to tell a trusted adult in the school. Because the act of telling someone that he or she is being bullied can be a difficult one for the child, schools should be clear that there will be no penalties for reporting bullying and that all cases will be taken seriously and dealt with in a timely manner. Rules about what constitutes bullying as well as ways to be kind to fellow students can be posted in hallways and other public spaces in the school so that all students are aware that this is something to be taken seriously at school. It is also important for each school to find out how students perceive the problem of bullying in their school, how often they experience bullying either as a target, witness or instigator and what types of bullying they see at school. This will give teachers and administrators a better understanding of the magnitude of the problem at their school and can guide specific interventions. (For example, if it appears that most of the bullying seems to occur during lunchtime, one intervention would be to increase adult supervision during this time.) It can also be used to track progress within the school once a bullying prevention program has been put in place. In the classroom and the counseling room there are also ways that teachers and counselors can address the issues of bullying. One model that can be employed is one which is used in cognitive behavioral social skills training, where children learn a particular skill, such as showing empathy or responding effectively to a bully, and then they practice the skill by doing “role plays”, where they act out different situations. One option for educators when doing this exercise would be to give each child the opportunity to play the role of the bully, the target and the bystander in order to gain a greater understanding of how each person feels and what they experience. This can be very important in helping to build empathy, an important factor in decreasing bullying. Another way to address bullying in the classroom is to make it a part of the curriculum, for example by having lessons specifically targeted to issues around bullying or by engaging the class in different activities, assignments and discussions that promote empathy. For children who have been the targets of bullying, providing in-school support is highly important. In addition to knowing that they will be protected by their school, these children can benefit from groups in school where they can talk openly about their experience, get support from other children, and learn social skills. Sometimes, further intervention will be needed for a particular student, be it the child who is bullying or who is being bullied, and it is important for schools to have a list of available outside resources (social skills groups, therapists and psychiatrists) that parents can access if needed.